Even though Bats belong to the Mammal family, rather than being classified as "birds," I still included them on this website in the spirit of public education and the conservation of this intriguing and highly useful animal. And well, they DO fly! 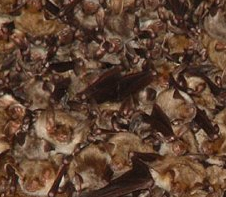 A single colony of 150 big brown bats can protect local farmers from up to 33 million or more rootworms each summer. Bats help many plants: Many important agricultural plants, like bananas, bread-fruit, mangoes, cashews, dates and figs rely on bats for pollination and seed dispersal. Bat droppings in caves support whole ecosystems of unique organisms, including bacteria useful in detoxifying wastes, improving detergents, and producing gasohol and antibiotics. There are more than 1,000 species of bats in the world. Bats are basically tropical animals and only about 40 kinds of bats live in North America. All of these bats in existence make up about a quarter of all mammals in existence. The smallest weighs less than a penny and the largest has a wingspan of up to six feet! The bat is the only mammal that can truly fly. Bats are more closely related to humans than they are to rodents. Several studies indicate that the Old World fruit bats and flying foxes may actually be descended from early primates. Bats are mammals in the order Chiroptera. Their most distinguishing feature is that their forelimbs are developed as wings, making them the only mammal in the world naturally capable of flight; other mammals, such as flying squirrels and gliding phalangers, can glide for limited distances but are not capable of true sustainable flight. The word Chiroptera can be translated from the Greek words for "hand wing," as the structure of the open wing is very similar to an outspread human hand, with a membrane (patagium) between the fingers that also stretches between hand and body. There are estimated to be about 1,100 species of bats worldwide, accounting for about 20% of all mammal species. About 70 percent of bats are insectivorous. Most of the remainder feed on fruits and their juices; three bat species eat blood and some prey on vertebrates. 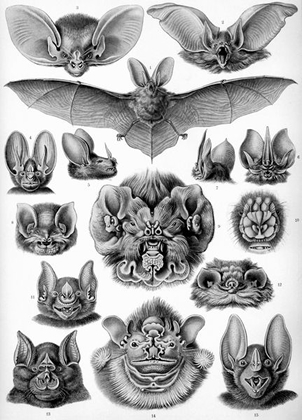 These bats include the leaf-nosed bats (Phyllostomidae) of central America and South America, and the related bulldog bats (Noctilionidae) that feed on fish. There are at least two known species of bat that feed on other bats: the Spectral Bat or American False Vampire bat and the Ghost Bat of Australia. Some of the smaller bat species are important pollinators of some tropical flowers. Indeed, many tropical plants are now found to be totally dependent on them, not just for pollination, but for spreading their seeds by eating the resulting fruits. This role explains environmental concerns when a bat is introduced in a new setting. Tenerife provides a recent example with the introduction of the Egyptian bat. Bats are an essential part of your backyard eco-system. What’s more, they are fascinating creatures and one of your best friends when it comes to combating insect pests. Bats are indicators of a healthy environment. The more bats, the lower amounts of pesticides being used in the area. 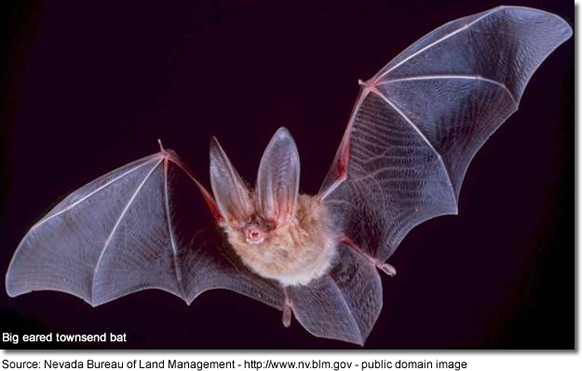 Bats help save farmers millions of dollars each year by consuming crop pest insects. They also pollinate flowers and scatter plant seeds. What’s more, bat guano, rich in nitrogen, makes an excellent fertilizer. More than 40 North American species of bats have been reported using bat houses provided by homeowners. The most common species is the Little Brown Bat. Like its name, this creature is small, and tan to dark brown in color. It can be found throughout the country, as far north as Alaska. The species most commonly uses bat houses for roosts and nurseries and can live up to 30 years. Bats utilize some sort of shelter all year round; usually roosting and hibernating in attics, caves, bridges, or bat houses. In many bat species, males and females roost in separate nest sites except during mating season – usually the fall or winter for migratory species. The female will store the sperm until spring when ovulation and fertilization occur. In the spring or early summer the females congregate in large colonies to give birth. Most species will have only one to two “pups” a year. Females feed their young milk so they must consume an even greater quantity of insects. The young bats grow rapidly and are able to fly in about three weeks. Primarily nocturnal, bats are the #1 predator of night-flying insects. Their diet is varied but usually includes moths, beetles, gnats, crickets and mosquitoes. One bat can consume 600-1000 mosquitoes in an hour eating their own body weight in insects nightly. Although they can see, bats use echolocation to find food. They emit a series of ultrasonic cries through the nose or mouth detecting flying insects by the echoes reflected back. Small insects may be caught directly in the mouth, but larger ones are often captured by the wing membrane, transferred to the “basket” formed by the hind legs and the interfemoral membrane (the part of the wing membrane between the tail and the hind legs). It is then scooped up to the mouth. Clearly, the best way to attract these nocturnal wonders is to erect a bat house. A typical bat house can hold a colony of up to 300 bats! Bat houses help bats by providing roosting space when natural roosting sites are scarce. 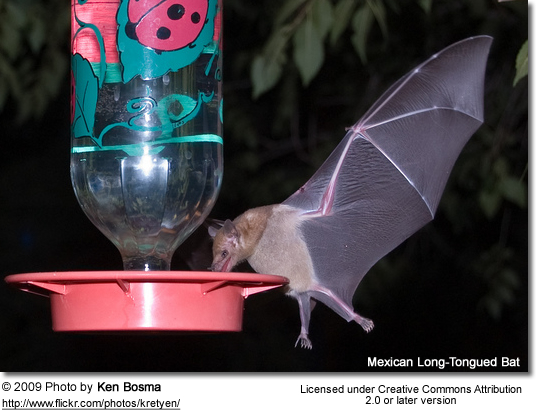 In addition, your bird bath or other garden water features can help support a bat population. Bats need water like any other animal and water attracts insects which in turn will attract bats.Offer a much-needed home to bats and you'll have nature's own flying insect control at work for you. Those nuisance bugs will disappear! Mother bats usually have only one offspring per year. A baby bat is referred to as a pup. Pups are usually left in the roost when they are not nursing. However, a newborn bat can cling to the fur of the mother like pouch and be transported, although they soon grow too large for this. It would be difficult for an adult bat to carry more than one young, but normally only one young is born. Bats often form nursery roosts, with many females giving birth in the same area, be it a cave, a tree hole, or a cavity in a building. Mother bats are able to find their young in huge colonies of millions of other pups. Pups have even been seen to feed on other mothers' milk if their mother is dry. Only the mother cares for the young, and there is no continuous partnership with male bats. The ability to fly is congenital, but after birth the wings are too small to fly. Young microbats become independent at the age of 6 to 8 weeks, megabats not until they are four months old. At the age of two years bats are sexually mature. Bats vary in social structure, with some bats leading a solitary life and others living in caves colonized by more than a million bats. The fission-fusion social structure is seen among several species of bats. The fusion part is all the individuals in a roosting area. The fission part is the breaking apart and mixing of subgroups by switching roosts with bats, ending up with bats in different trees and often with different roostmates. Studies also show that bats make all kinds of sounds to communicate with others. Scientists in the field have listened to bats and have been able to identify some sounds with some behavior bats will make right after the sounds are made. Many people put up bat houses to attract bats just as many people put up bird houses. Reasons for this vary, but mostly center around the fact that bats are the primary nocturnal insectivores in most if not all ecologies. Bat houses can made from scratch, made from kits, or bought ready made. Plans for bat houses exist on many web sites, as well as guidelines for designing your own bat house. Copyright: Wikipedia. This article is licensed under the GNU Free Documentation License. It uses material from the Wikipedia.org ... Additional information and photos added by Avianweb. Photo, Video and/or Article contributions are welcome! Upload articles and images.. Thank you.